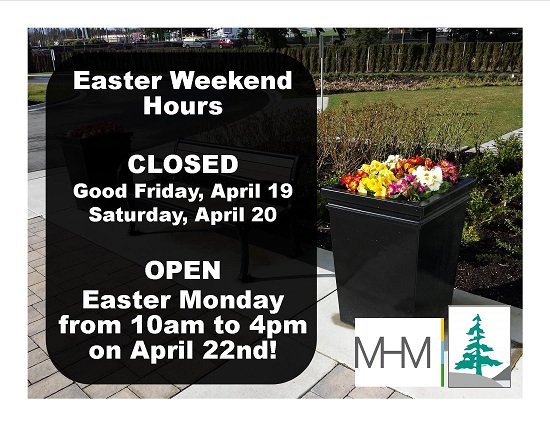 MHSBC is a community-funded organization, and we depend on your support. 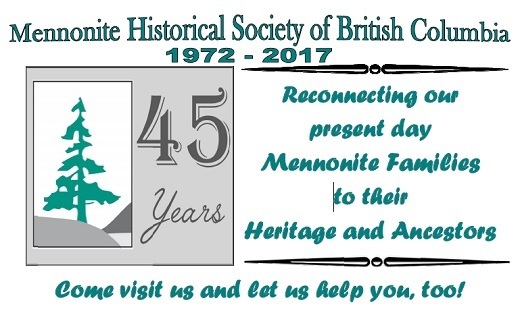 Your donation helps preserve our Mennonite stories and heritage for future generations. 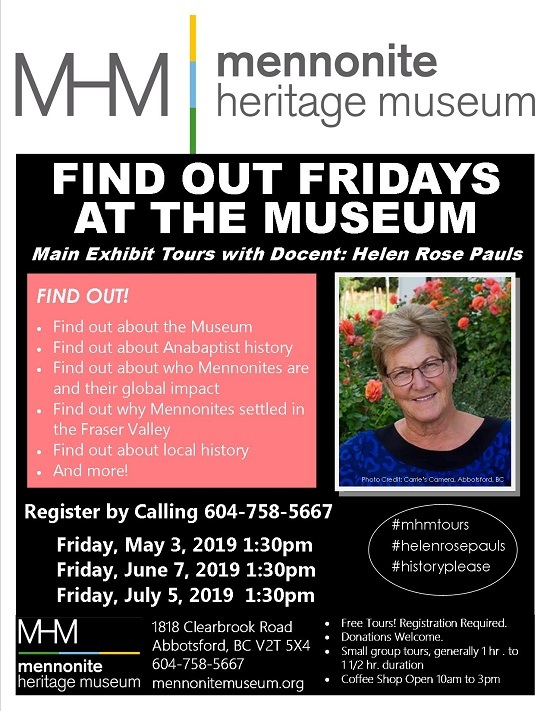 Funds are used to keep our archives open to public users; upgrade equipment; support our few staff members; bring you the latest research on Mennonite history through the Roots and Branches newsletter; and to sponsor special events. You can make your donation online to MHSBC with our convenient online PayPal feature. 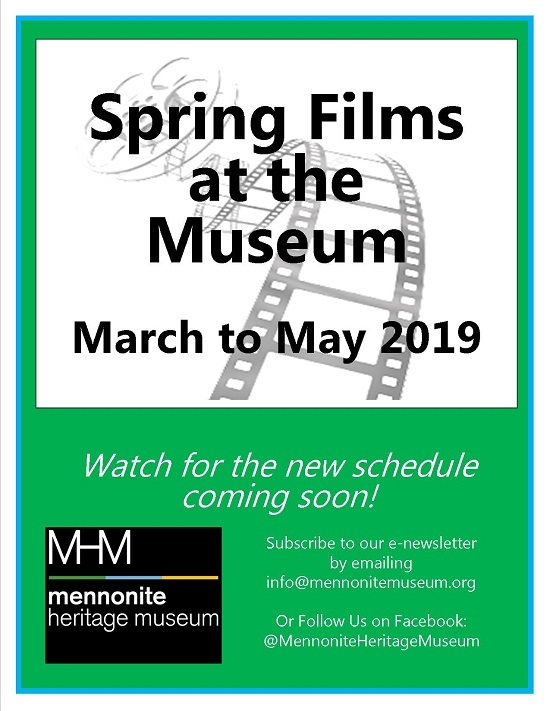 See the MHM website at: www.mennonitemuseum.org. 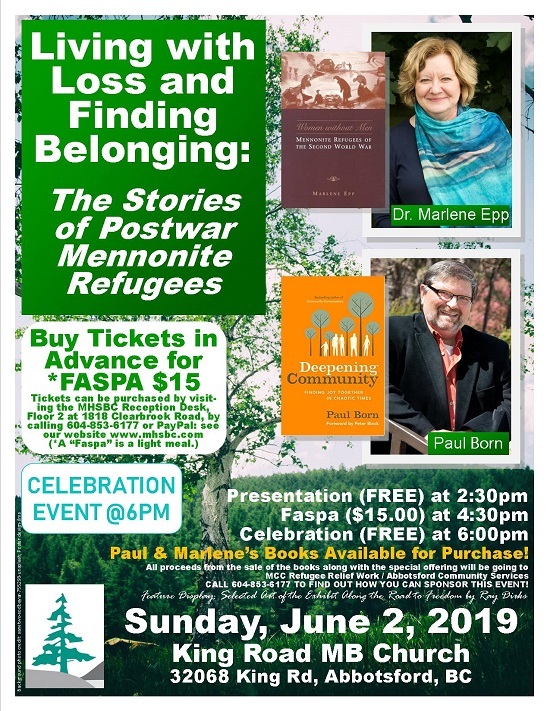 For Mennonite Events across Canada check out the Canadian Mennonite website. with our convenient online PayPal shopping cart. 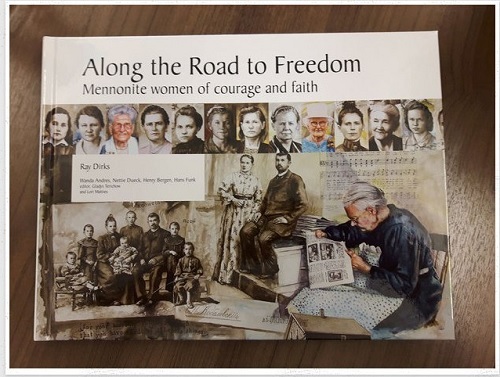 The book Along the Road to Freedom by Ray Dirks is available in the MHM Bookstore. Our popular gallery exhibit "Along the Road to Freedom" is now available in book form. We have copies available for sale in our bookstore! Pay for your MHSBC membership using our convenient PayPal feature. 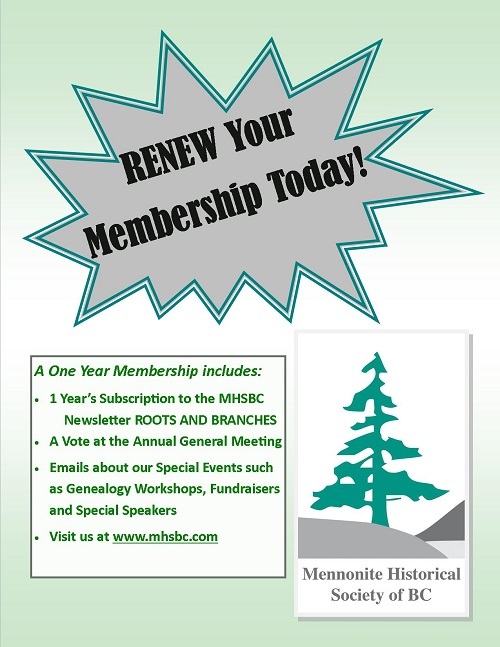 Become a MHSBC member, volunteer, donate to MHSBC online: MHSBC Membership Form. See the Future Events for ALL new events. 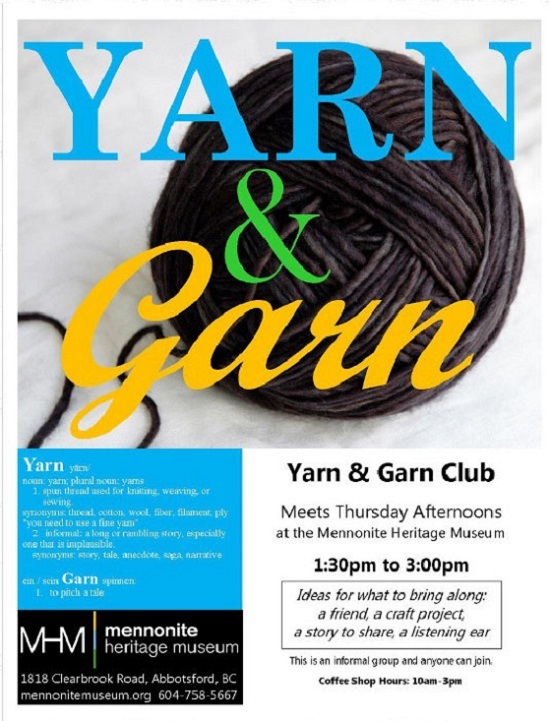 or a comment and photograph relating to Mennonite History. MHSBC is dependant on donations to support its operations. 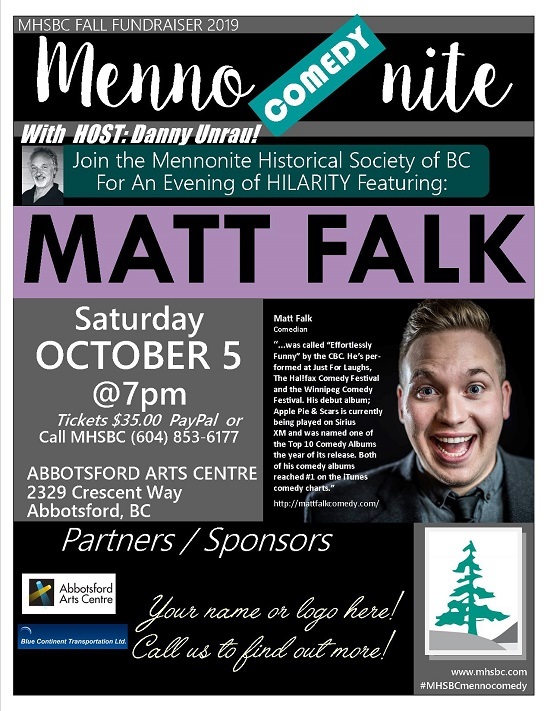 Tax-deductible receipts are provided.